Connacht, boosted with a try bonus performance last weekend, will be looking to step up another level when they travel to Belfast for this season's first Guinness PRO 14 interprovincial this evening (7.35pm ). 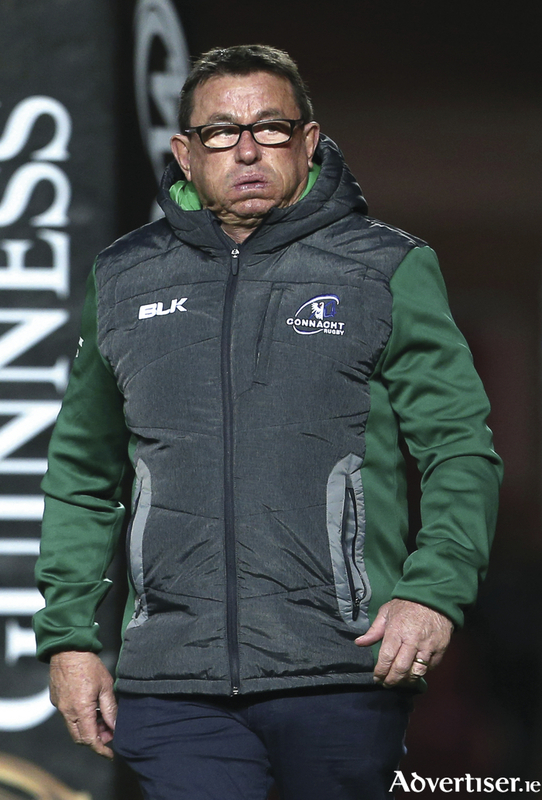 Not favourites by any means, but Connacht will still believe they have every chance of breaking a 57 year hoodoo if they produce an 80-minute performance for the first time this season. There will of course be a backlash from Ulster, who suffered a rare defeat to Zebre in Italy, and Connacht will not find it as easy in Kingspan Stadium as Michael Bradley's side did in Parma. However, this Connacht side, slowly making gains under new management, could do nothing better to turn their season around than with Ulster's scalp - remember a famous win over Toulouse that changed Connacht's future under Pat Lam. The stats, however, still read just one win from their first five outings - had Connacht turned two losing bonus points into victories, they would have been sitting just three points behind Munster. Lapses in concentration and defensive errors have proved costly, and it does not get any easier with Ulster on Friday. Connacht's new defence coach Peter Wilkins, formerly with Queensland Reds and Edinburgh, is familiar with Ulster's talent, and is expecting a huge physical contest, heightened by personal battles and provincial pride. "Physicality is something we have come to expect and are preparing for. Our defence is a work in progress, and the biggest issue for us defensively is when our slips have come, they have been pretty obvious slip-ups. That has been disappointing, but on the plus side they are controllable. It's about decision making and making sure we wrest control of those big moments in games rather than letting teams off the hook, having put them under consistent pressure. Our challenge is to make sure we are good 10 times out of 10 and we bring consistency. We are making good progress, but you'd like it to be quicker. We will get there, and that's why you are not seeing anyone pushing the panic button. Ulster, he says, have some key players. "Stuart McCloskey is a big factor at 12; Charles Piutau is a super athlete and explosive with ball in hand; and Christian Lealiifano, whom I have coached against in Super Rugby, is a really good No 10 with a nice balance of passing and kicking, and equally someone who can take the ball to the line and also play through the line. There are lots of different threats, but for us it's about a heightened awareness around certain areas of our system, and making sure we do it consistently across the 80 minutes." Such errors ensured Connacht came away from Parc Y Scarlets with only a try bonus point. It was a redeeming performance, if not a winning one, and both sides contributed to a nine-try fest. In Connacht's most complete attacking performance this season, they bagged four tries, but once again they suffered a heartbreaking finish, allowing the champions to claim a fifth try at the death. Understandably coach Kieran Keane was a happier camper than previously. "There were some real positives around this one. I thought we were going to win from the kick off, and as the game progressed, I thought we came back really well, had them stretched, but we self destructed a bit in the last seven or eight minutes. But some really good things there, not like last week," Keane said. Our attack was five times better, our defence probably wasn't, but our attack and set piece was sound, so they were big pluses. Our exiting was a real issue, but that's not so much set piece, but around rationale and calling, and we can fix that. Another tough one to take, but Scarlets are a quality side, opened us up a couple of times, one-on-one tackling is down to the individual, not a team thing. I am just having to be a bit more patient than I normally am."